Oops! Invalid start of term. 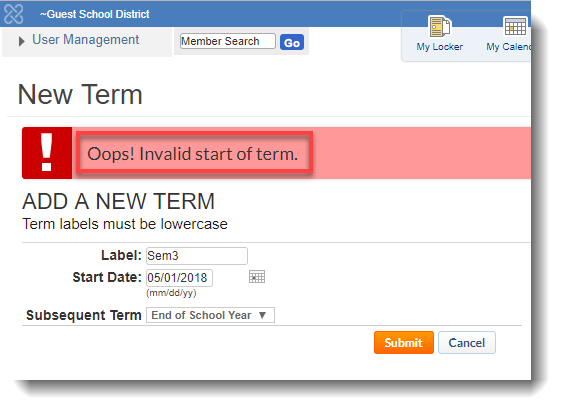 Unable to submit a new term under Toolbox -> School Settings / School Site List. Date entered has exceeded 1 year. If you get an error message about an invalid start date, try setting the terms in reverse order. For example, set semester 2 before setting semester 1. Once you set the correct date, the system should allow you to enter it and be visible together with the other terms you have set. 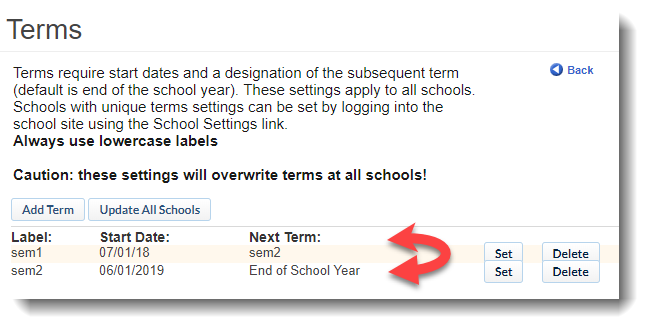 If the error still persists, check if the date set in your SIS (Student Information System) matches your term entries.